The "Super Worm Moon" Proves It May Be Time to Kill the "Super Moon"
Calm down, Karen. "Super Moons" happen all the time. Novelty Moons are in fashion, and we can only tolerate so much. This year alone, we’ve already endured the Super Blue Blood Moon in January and the Super Snow Moon in February. Today, ready or not, is the Super Worm Moon — and local media outlets are hyped. Who’s ready for another super moon with a kitschy name ? Although people have been attributing supernatural powers to the Moon for millennia, the movement of the Moon is easy to track and predict. Because the orbit of the Moon around the Earth is slightly oblong, the true distance between the two celestial bodies varies in ways we can observe over time. At its furthest, which is called the apogee, the Moon is about 253,000 miles (405,500 kilometers) away from Earth. At its closest, the perigee, it’s only 226,000 miles (363,300 kilometers) away. When it gets closer, from an Earthling’s perspective, the Moon gets observably larger and brighter. The Moon appears largest and brightest when it’s closest to Earth and on the opposite side of Earth from the Sun. This state is known scientifically as a perigee-syzygy Moon — but it’s admittedly cooler to call it a Super Moon. The term is divisive among astronomers. For one thing, there’s its dodgy origin: It was coined in 1979 by Richard Nolle, an astrologer who has some weird beliefs about how the Moon influences earthquakes and human behavior (spoiler alert: it doesn’t). According to Nolle, a Super Moon is always a full moon no further than about 228,700 miles (or 368057 kilometers) away from the Earth. 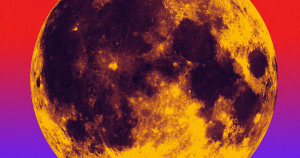 The term Super Moon isn’t recognized by the International Astronomical Union, the body responsible for coordinating international celestial naming. 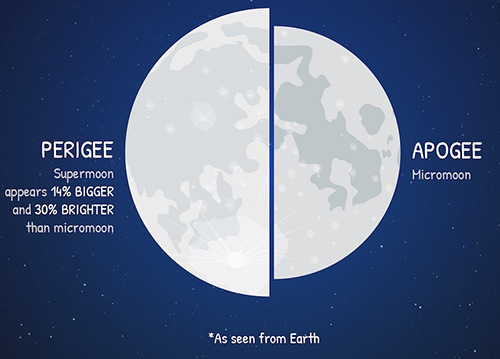 And the logic behind the quirky extra Moon names, like “Wolf Moon” and “Snow Moon,” is even sketchier. Though the origin of each is likely consigned to the oblivion of collective memory fatigue, the names correlate with seasonal observations, meaning we can probably expect to hear about a “Super Pink Moon” and a “Super Beaver Moon” next year, according to the Old Farmer’s Almanac. Whether or not the science behind the “Super Moon” stands up, the concept does capture the public imagination, which is probably why media outlets keep writing about it. Whether or not the term is beneficial to astronomy is a matter of some opinion. Our opinion? Take your Super Moon and fire it into the Sun.